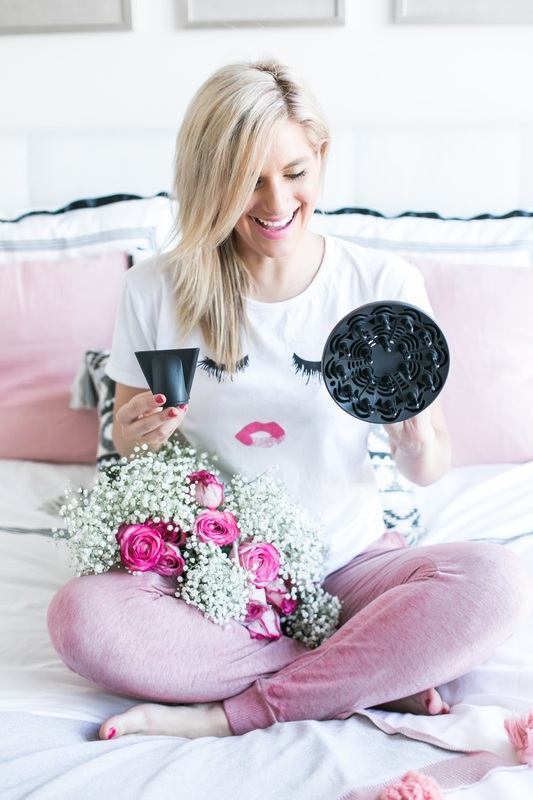 I am actually really happy to share with you 7 mistakes you are making while blow drying your hair.My biggest challenge when it comes to my hair is knowing how to properly blow-dry it without damaging it. It has been a roller-coaster ride the past couple of years, but I have finally gotten the hang of it. You will be so surprised how these little things will improve the health of your hair. 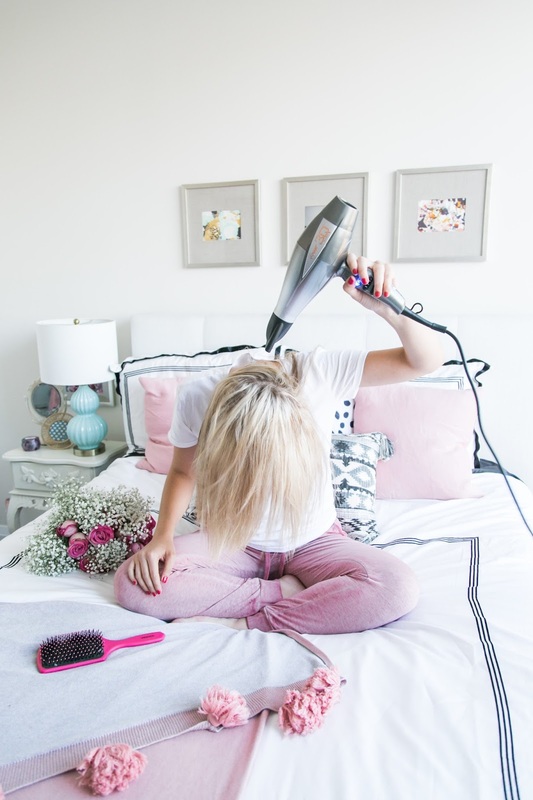 Read below some mistakes you may be making when blow drying your hair. 1. You are using the wrong type of hair dryer. The number one mistake you are making while blow drying your hair is your hair dryer itsel. A blow dryer is not just a blow dryer. 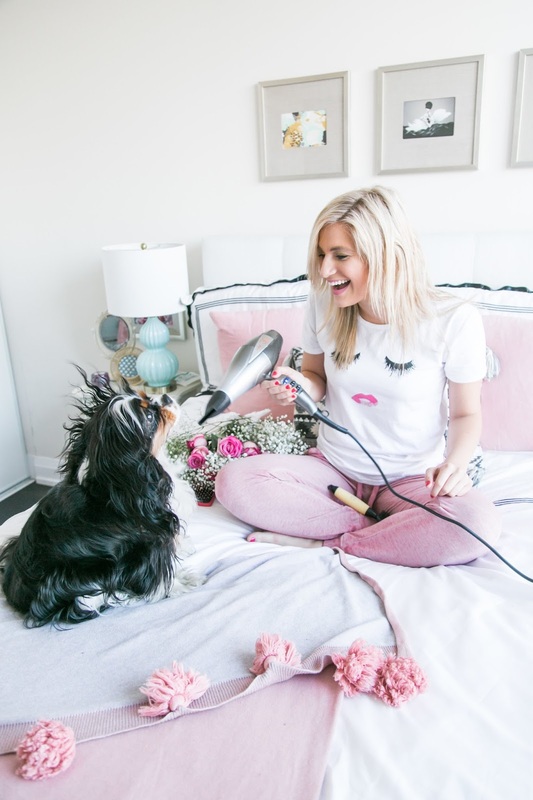 Not all blow dryers are made the same, so it’s important to know what you’re working with. Certain hair dryers are meant for certain types of hair. 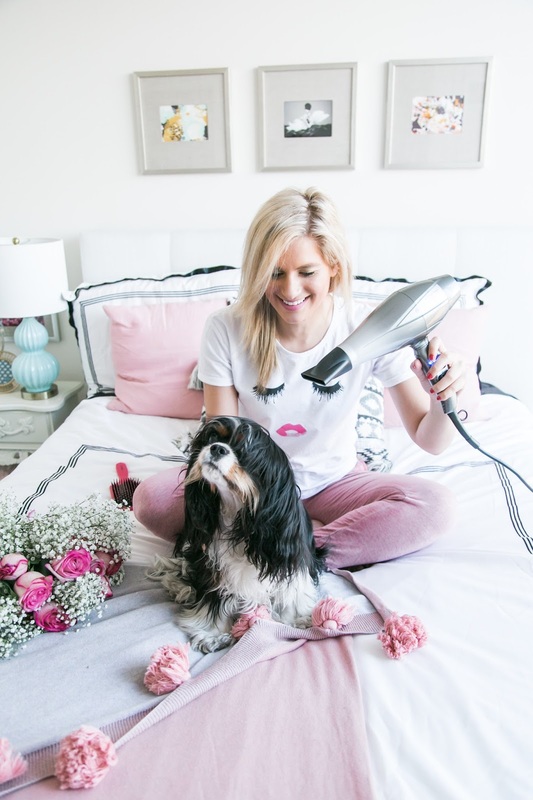 Before running to the store to purchase the latest must-have blow dryer do your research and see if it is actually the right hair dryer for your hair. I did a lot of research before I got my Infiniti Pro by Conair 3Q Styling Tool hair dryer. I wanted a hair dryer with Ionic Technology that enhanced the shine of my hair and reduced the uncontrollable hair frizz I usually get. The Infiniti Pro by Conair 3Q Styling Tool does all of this, and an amazing bonus is that it is made with noise reduction technology. Because Margot has very long hair that has a slight curl (especially her long luscious ears), we always have to blow dry her hair after showering her. 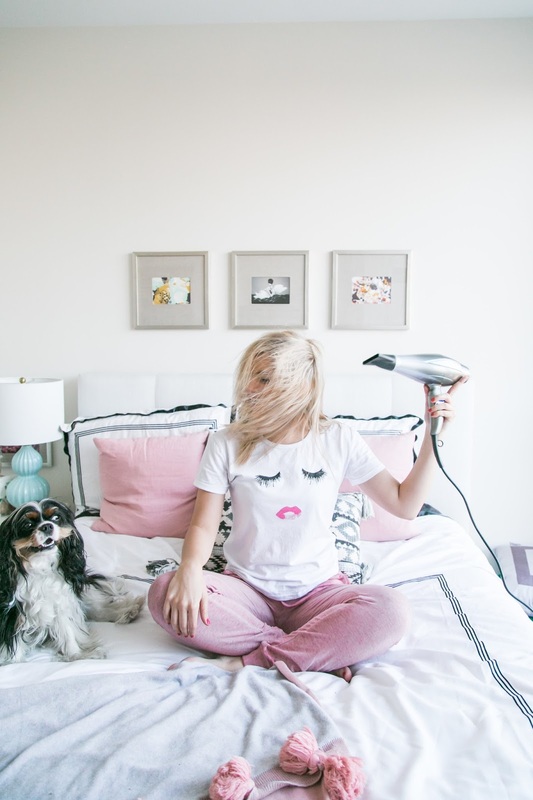 This is very typical for the Cavalier breed, and since hair dryers are a bit scary for dogs, I love the fact that the Conair 3Q keeps the noise to a minimal. Margot loves having her hair blow dried and I owe it all to Conair. 2. You are not using the hair dryer attachments. Hair dryer attachments will make your life much easier. If your hair is curly and you want to enhance your curls or actually make your curls look like curls instead of a tangled mop, use the diffuser. The diffuser is a magic tool that will add body to your curls. Since my hair is straight, I always use the concentrator to control the crazy frizz and style certain areas of my hair, especially my side bangs. I used to remove the concentrator all the time because I thought it was preventing my hair from drying faster, but the concentrator actually helps with styling your hair. 3. You don’t section your hair properly. Seriously. Are you even sectioning your hair? I didn’t either. Then I started to section my hair while blow drying my hair and my whole hair game changed. My tip is to tie your hair into a half top knot bun (see picture above) so you can work with the lower layer of your hairline then work your way up by letting loose one section at a time. Also, work your way from the front to the back. 4. Your hair dryer air setting is too high or on Hot heat. Another mistake you are making while blow drying your hair is the Heat levels you use. The Conair 3Q has 3 heat / 2 speed settings. The number one mistake I always used to make is set my hair dryer heat air setting on hot. In reality, you should be adjusting the different heat levels depending on hair type. The high heat setting on your hair dryer is there for thick or coarse hair. Since my hair is thin and not thick what I usually do is use the high heat setting (Hot) when I first start to blow dry my hair and my hair is really wet. This helps me remove the excessive moisture. Then I move my hair dryer heat setting to low. 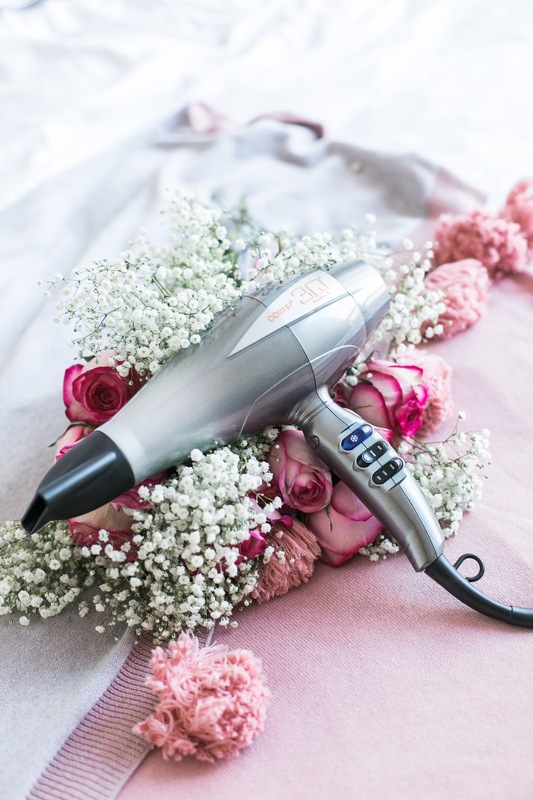 This hair dryer has 70 percent more air pressure than Conair DC motor dryers, so it actually dries your hair much faster with less heat to minimize heat damage. So really, no need to use the high heat. 5. You are not using the cool shot. This is one setting your hair dryer has you are most likely not using. The cool shot air button is one of my favourite features of my new Infiniti Pro. What does this cool little button do? It helps to seal the hair cuticle which gives your hair long-lasting hold and gives you that Blake Lively hair shine. I use the cool air setting when my hair is about 80 percent dry and work my way around my whole head. 6. You are holding the hair Dryer in one place. 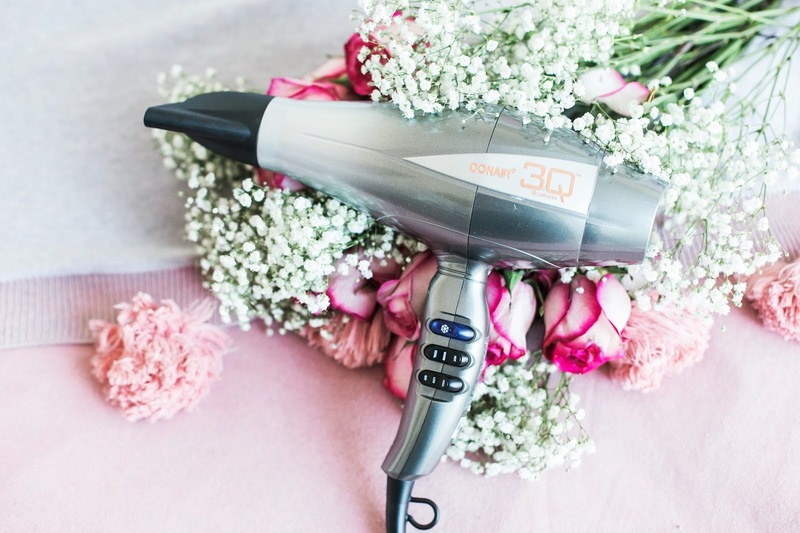 Thankfully, this Conair 3Q hair dryer has up to 70% more air pressure for ultra-fast drying, with less damaging heat that helps make your hair shiny and healthy looking, but that doesn’t mean you should be pointing your hair dryer at the same hair section for a long period of time. Pointing your hair dryer at the same hair section will fry your hair regardless of what hair dryer you are using. Don’t do that. Constantly move your hair dryer because otherwise you are going to damage your hair. 7. You are not using a heat-protectant product. When I blow dry my hair a little voice keeps screaming at me Are you using the hair protectant? That little voice is Kamiran. He is a firm believer of heat protectant. No matter how much your hair dryer protects your hair, you need that extra protection for your hair. Whether it is a spray or a serum do not forget to add it to your hair before blow drying and styling. 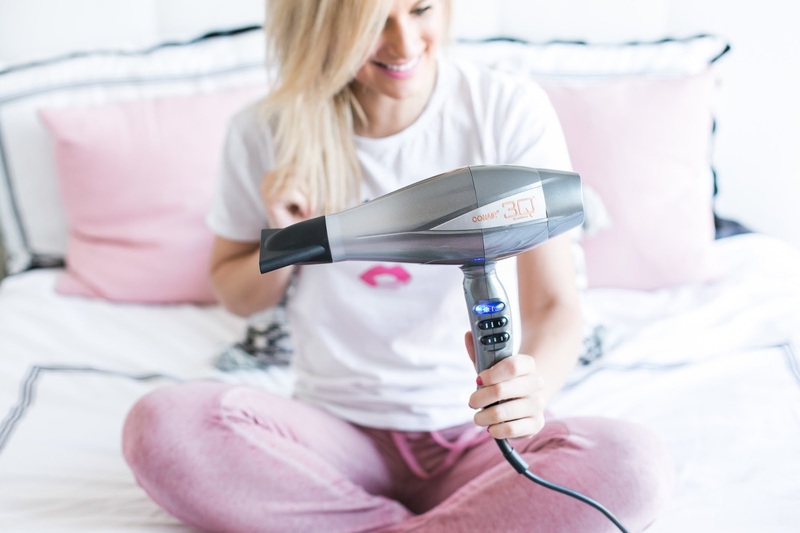 Your hair dryer will protect your hair while blow drying your hair to a certain extent, but you need to take it a step further. 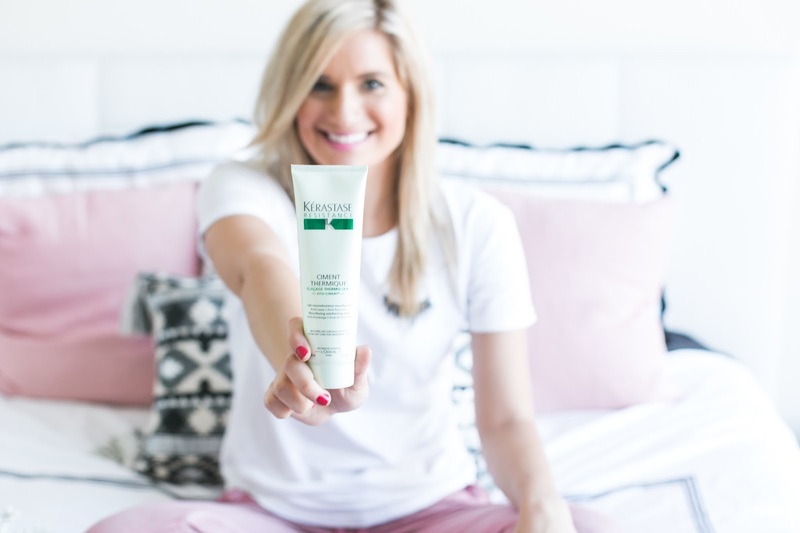 My favourite product at the moment to use when styling my hair is Kerastase Résistance Ciment Thermique. I am going to share my favourite hair products I have been using for the past couple of months in a post soon, so stay tuned. 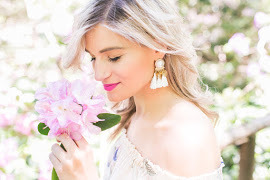 For optimal results when blow drying your hair regardless of what hair dryer you are using, if you are making the 7 mistakes I mentioned above your hair will suffer. When I started paying attention to these little details I saw a major improvement in the health of my hair and the way my hair was transitioning from wet to dry. 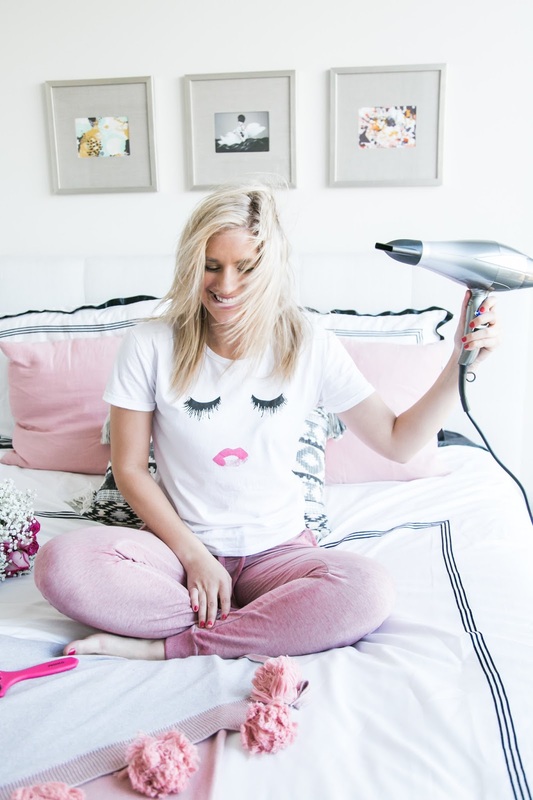 Powerful yet extremely lightweight, the Infiniti Pro by Conair 3Q Styling hair dryer has been an amazing tool to use so far when it comes to drying my hair faster, and helping me maintain shiny and healthy looking hair. 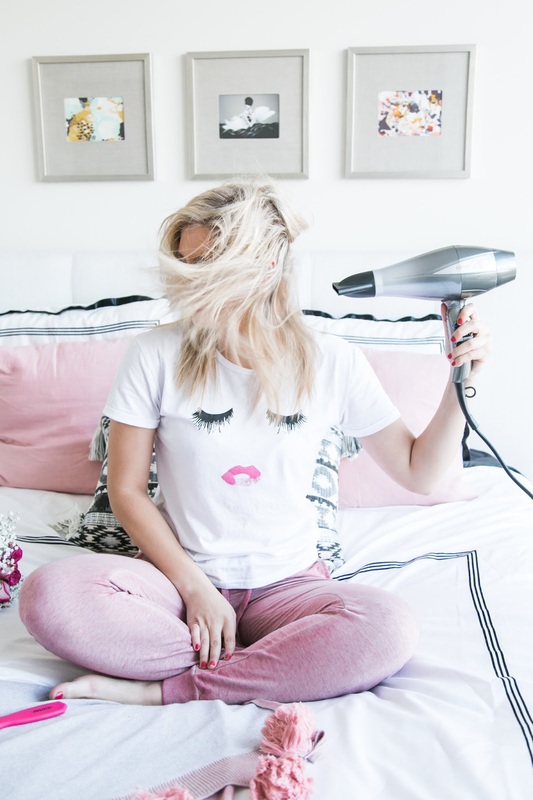 Are there any mistakes you make while blow-drying your hair? 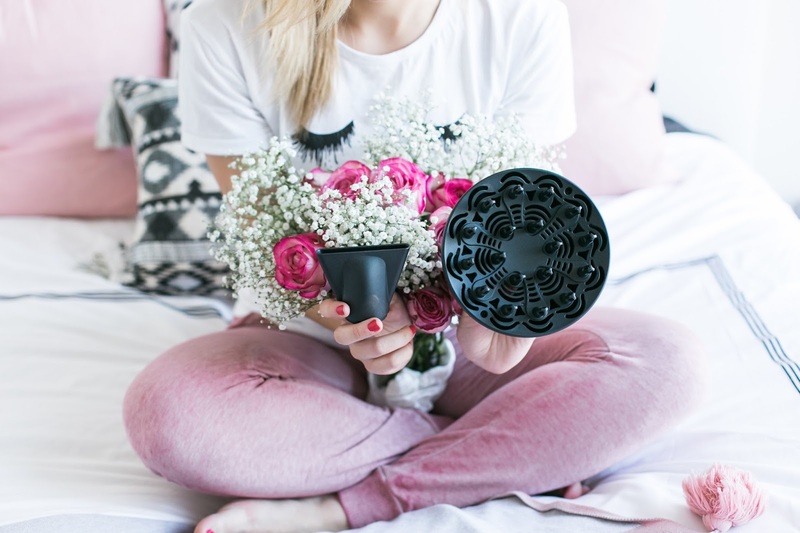 Thank you to Conair Canada for partnering with me on this post. All opinions and thoughts are my own. Oh I am making every single one of these mistakes. I'm the worst at blowing out my hair! I'm so bad I don't even bother anymore. I just flat iron it.